Not only was I touched by Cheryl Anderson’s warm demeanor when I first interviewed her in 2005, I was amazed by her stamina. She was working as the choral director for four of Cabrillo College’s six chorus groups on campus, and had recently led the Cabrillo Youth Chorus through a concert tour of eastern Europe. 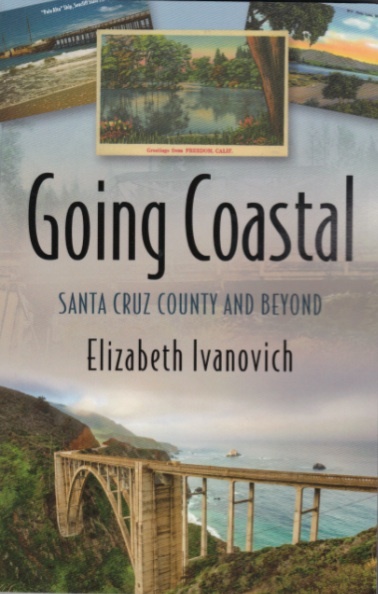 (You can read that interview in the “Cabrillo’s Harmonic Convergence” chapter of Going Coastal.) Since then, she’s served a two-year term as the Western Division President of the American Choral Directors Association and become the music director at the Peace United Church of Santa Cruz, while entering her 28th year as Cabrillo’s Director of Choral and Vocal Studies. On June 1st, the Santa Cruz County Arts Commission will name her as Santa Cruz County’s Artist of the Year for 2018. In celebration, a free gala performance will take place at Cabrillo’s Crocker Theater from 7 to 9 p.m. The retrospective of Anderson’s favorite music will include performances from six of her choral groups. Tickets are free, but available only from the box office on the night of the show; visit the Artist of the Year website for information. Next > This year’s summer reading (so far)!